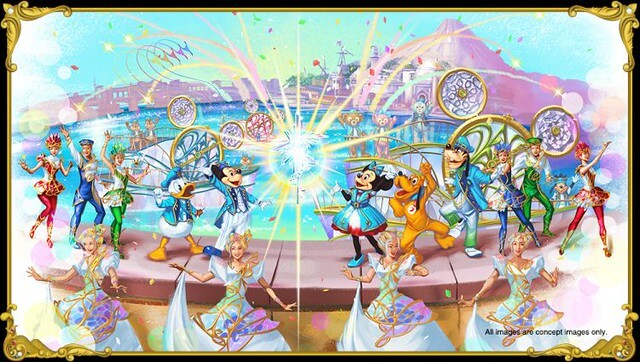 Tokyo Disney Sea celebrates 15 years of magic with The Year of Wishes. If you have ever went to the Tokyo parks during one of its anniversary events, you know that they take it rather seriously. Having experienced the parks at Disneyland’s 30th and Disney Sea’s 10th, anniversaries at the Tokyo Disney parks take on a whole other level. In fact, it may take more than one visit to truly experience the many layers of grandeur. While Sea’s 10th was based on “being magical”, Sea’s 15th theme revolves around the basis of “wishes” under the banner of The Year of Wishes. The celebration starts from April 15th 2016 and will last until March 17th 2017. The story builds on the concept of wish crystals. The crystals essentially represent the wishes of the heart. In particular, these crystals stem from the many wishes of park guests over the span of 15 years. Given that there are many kinds of wishes, these wishes then manifest into crystals of various shapes and colours. As such, the park motifs and decorations will display images reflected by these “wishes”. Mickey and Friends take on a particular wish crystal and theme. 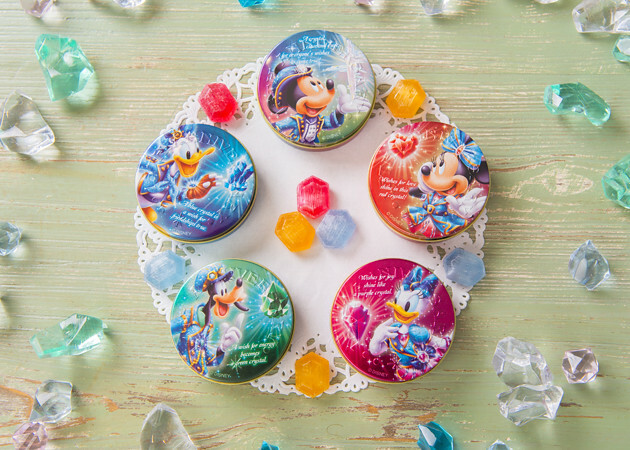 The colour of each crystal is based on the type of wish it represents. Below is the translation (by yours truly) from the character page. Mickey Mouse Clear Dreams Come True Mickey’s wish is that all the wishes come true. A beautiful shining crystal brought forth from the combined colours of various wishes. Mickey holds the crystal up high so that everyone’s wishes will come true. Minnie Mouse Red Love Minnie’s wish is to always be with the one you love. The red of the crystal is evident of an overflowing love. The thoughts of your beloved brings forth this warm heart-shaped light. Donald Duck Blue Friends Donald’s wish is friendship. The crystal’s blue colour represents the connection between all the blue seas of the world in that friendship surpasses all borders. The bundled shape of the crystal signifies the strong bonds of friendships. Goofy Green Energy Goofy’s wish is energy, ie. that everyone has inner strength and a lively spirit. The green is found in the vitality of plants where energy is stored before it bursts forth in a swell of strength and power. Daisy Duck Purple Joy Daisy’s wish is joy through a world of new and never-before seen experiences. The colour is a romantic purple. The crystal’s shine is said to be similar to that of a young girl discovering something fascinating. Chip & Dale Yellow Fun Chip and Dale wish for fun, as in the feeling you get after eating a large meal. The yellow is from the combination of laughter, excitement, and jumps of delight. Pluto Orange Smile Pluto’s wish is that everybody will be full of smiles. The crystal resembles the glowing orange of the sun with the crystal cut in the shape of a smiling face. Duffy Light Green Luck Duffy, Shellie May, and Gelatoni wish that everyone will have good luck. The light green represents the pureness of the heart. The star will lead to good fortune.